• Lightweight 6-gram beta titanium crown delivers Tour-caliber trajectory and versatility. 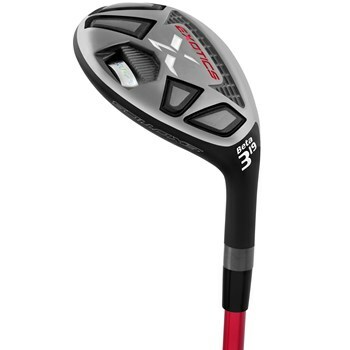 • Power Grid behind sweet spot flexes at impact to increase spring-effect and launch results. • Hexahedron sole weight pads maximize stability on off-center contact. • Variable face thickness technology increases ball speed on more contact points of the face.